Exciting data rollover plans. Roam at no extra cost. You can enjoy the speedy of 4G at no additional costs. ID is based on the coverage of Three network. That means you can expect great coverage as well. 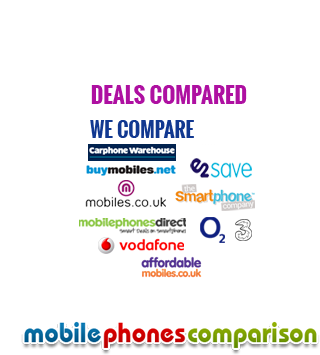 Owned by one of UKÃ¢ÂÂs largest mobile phone retailer, Carphone Warehouse, ID mobile gives its users the benefit of great technology on the palm of their hands. You are in complete control of your internet usage thanks to the exciting 4G network that Carphone Warehouse offers it its users. Owned by one of UK’s largest mobile phone retailer, Carphone Warehouse, ID mobile gives its users the benefit of great technology on the palm of their hands. You are in complete control of your internet usage thanks to the exciting 4G network that Carphone Warehouse offers it its users. You have access to the most affordable 4G contracts. You can enjoy the speed of 4G at no additional costs. Exciting data rollover plans, free roaming option and capped data rollover plans that will help you make the most of your phone when you are traveling. These exclusive GoTo plans are designed for those who use a lot of data on their handset. They have some of the most practical data, calling and texting plans. You have access to this wide range of plans in about 29 countries. This is higher than any other network provider. You have access in Austria, Australia, Czech Republic, Estonia, Denmark, France, Bulgaria, Greece, Ireland, Italy, Hungary, Latvia, Portugal, Romani, and USA etc. Adjustable cap is the most important feature allowing users to control the bill that they pay every month. That means you will not have to worry about exuberant bills every month or nasty surprises. These special shock proof plans start as low as £10 every month and have generous text and calling plans along with 4G network. You also have a buffer of about £5 that you can use in case you need any extra allowance. You have access to the most flexible plans that can be opted for on 1, 12 or 24-month basis. You have the option of free data roll over with each of these plans. You have the option of SIM only plans. You have the benefit of data only plans with these SIM only plans as well as a standard contract that gives you a monthly allowance for data, minutes and texts. ID is based on the coverage of Three network. That means you can expect great coverage as well. Along with the flexible plans, the exclusive data usage offers and also the controlled bill plans, this is one of the most affordable and convenient options available to you. They also provide access to great customer support for any query or request that you may have for your new or existing network connection.